Greetings from Berlin fellow budget traveller. I have a new video about Rotterdam to share with you. This video is from my Luxury Hostels roadtrip last summer. If you are new to this blog, then hello again. to give you some background, I travelled to 25 cities last summer in my bid to unearth more of Europe’s finest hostels. At 33, when I did the first Luxury Hostels guidebook it was a hard slog going to hostels and travelling on an almost non-existent budget. At 37, on a far better budget, it was still an almighty challenge going to all these hostels. My mind was willing, liver too but my body less forgiving. This time, I took things up a notch. I filmed all of the new hostels. You will see these videos roll out over the next few weeks: please make sure you subscribe to my Youtube channel to be the first to see them. Not only did I film the hostels but with the help of my long time collaborator, Rui Dantas, we also were ambitious enough to pull together some short, snappy video guides of the cities we visited. Given that we had on average about 2 days per city and on a very tight schedule, this didn’t allow us for a deep dive and have an immersive experience of each city. 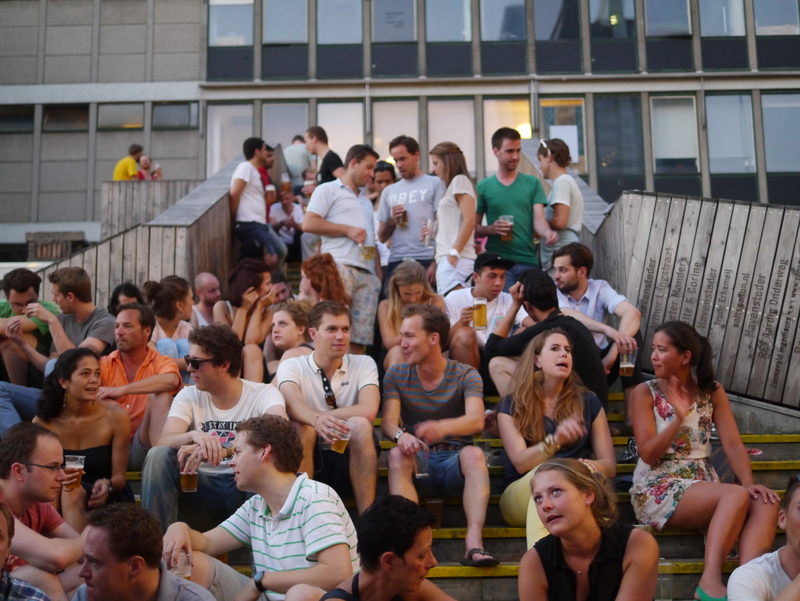 So in the end, the videos we’ve produced are by no means a definitive guide of what’s cool in Rotterdam. It is just a smattering of some of the many cool things to see and discover in this fascinating city. Actually, its mainly about all some of the best places to eat in the city on a budget. More on that later. Some context to the video and why you should visit Rotterdam. I am a long time visitor to this bustling port city. Rotterdam was one of the first cities I visited as blogger and so there is a strong, sentimental connection. I love Amsterdam. It’s pretty. I love the dreamy canals. However, Amsterdam is kind of the pretty girl you’d love to hangout , show off to your friends with but you would never take home to your mum. The city has sadly become a victim of its beauty. Too many tourists. Plus it is darn expensive to find yourself a decent place to stay. Rotterdam, on the other hand has seen its star rise in recent years. It has a cool, unpretentious vibe. People are far more down to earth and easy to chat to. It kind of reminds me of another very cool port city: Glasgow. Plus it has some f%%&&& great hostels. Checkout out the uber cool King Kong Rotterdam and if you’re looking for a hostel with a more backpacker vibe, Ani & Haakien is the place to stay. The architecture is cool and innovative but I’ve never spent much time in daylight seeing the buildings. My happiest memories of Rotterdam are all under a blurry sheet of darkness when the street lights switch on. The volume goes up a few notches the moment the sun sets and all of a sudden you find yourself swimming in a pool of glorious humanity. Booze too. Witte de Withstraat. Rotterdam’s party street and one of Europe’s greatest streets. 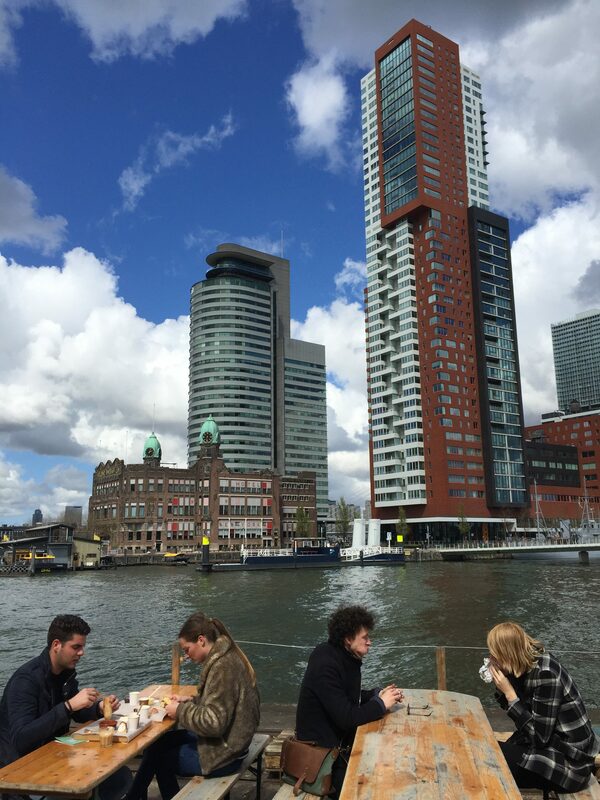 Think of Rotterdam as Ibiza but without the pricetag, Some of Europe’s coolest concept bars and clubs can be found in this city. I love the tropical charm of the Tiki Bar, Café LaBru with its vintage New York interior plus if you are lover of experimental music, WORM always throws up some great surprises. Rotown is another key favourite. By day a diner, in the evening the tables gets cleared and the decks come out. The nightlife scene aside, once the darkness lifts and your hangover mercifully disappears, you will also discover that this is a deeply cultural city. 170 odd nationalities have made this city home (second only to New York ) so you have a city that is constantly striving to define itself and find an identity. This identity crystallises in the numerous amazing museums and cool festivals that take place here year round. 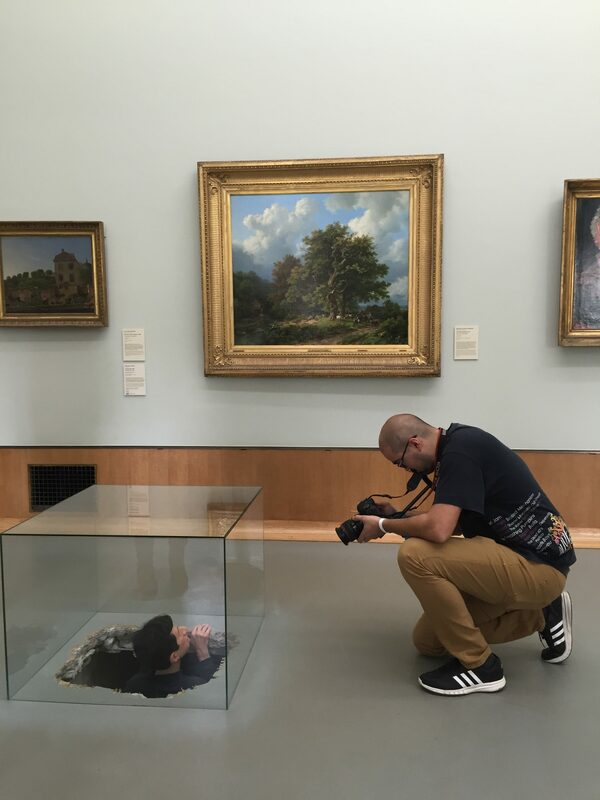 My favourite museum in the city and one you should definitely visit is the fabulous Museum Boijmans van Beuningen. 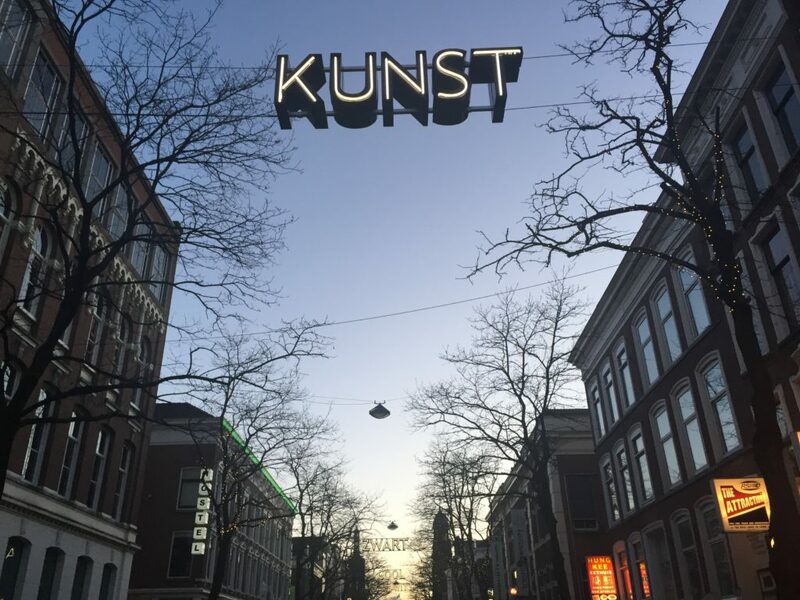 A fab selection of Dutch and European art across all the defining eras. There are some of my favourite impressionists there: Van Gogh, Monet and Gauguin all make a star appearance. Plus for lovers of the surrealists will find works of Salvador Dali, Marcel Duchamp, René Magritte and Man Ray here. If you have time for one more museum, as a lover of images, I would highly recommend the Netherlands Photo Museum. The museum has a fabulous collection of photography dating from the 20th and 21st century with collections from the Netherlands and elsewhere. However, if you are coming to Rotterdam, come here to eat. This is a seriously underrated destination for foodies. In the video, you’ll find a ton of great suggestions for places to eat. Start your food safari at the Markthal, a temple to food where you can discover everything from Spanish tapas bars, French bistros, Italian and Chinese restaurants to Oriental and Surinamese food. Next door to Markthal you’ll find the Blaak Markt, Europe’s longest street market, with over 400 stalls spread across a 2.5 km long track. You’ll find everything from cheese, Herring, French fries, Turkish pizza, Surinam roti, Dutch waffles, spring rolls or a Greek Gyros sandwich- this market truly reflects the multicultural nature of this city. 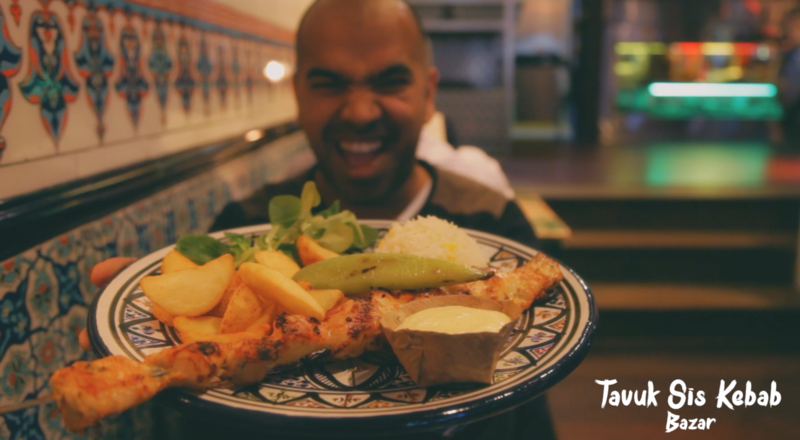 I am a huge fan of Bazar which specialises in North African and Middle Eastern food. One of the reasons I love coming back to Rotterdam is to eat here. I highly recommend their Tavuk Shish Kebab. Plus the breakfast they serve is one of the best I’ve ever tasted. Another foodie highlights of any visit to Rotterdam is a trip to the Fenix Food Factory in the city’s Katendrecht district. Located in a former industrial warehouse you can enjoy fresh, delicious food from local food producers. From sipping on local craft beers from the Kaapse Brouwers brewery to sampling delicious cheese at Booij Kaasmakers cheese-there is a bunch of great foodie experiences. Best of all, there are plenty of wooden benches outside for you to enjoy your food and drink while soaking in the historic view of the Hotel New York and the surrounding harbour. Plus, last but not least, do visit Mr Hans Bode, an icon of Rotterdam. 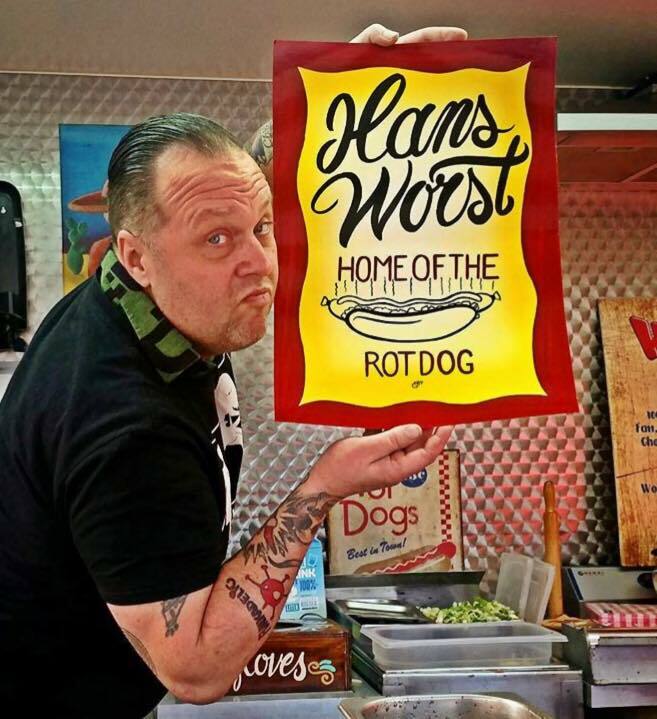 In Coolsingel, you’ll find his food cart: Hans Worst where he roasts his biological, calorie busting, delicious Rotdogs . The sausages come with the option of a variety of sauces. Hans also loves his chillies hot and depending on the level of heat your palate can take, he can serve your sausages with a really spicy chilli. He has with him a special variety of habanero peppers that apparently is the 2nd hottest chilli in the world. All I can say is that….. you have been warned. That’s just some tips and suggestions. I forgot about Holy Smoke. Great spareribs and burgers. Fab cocktails and a great wine list. Also if it is a sunny day and you have a craving for Vitamin D with a delicious smoothie or a nice brunch, head to the cosy rooftop restaurant of Op Het Dak. Watching the video, looking back at all the footage, I realised that over the 2 days, we really just …..ate and drank. Which is fine. The best way to discover a city is through your stomach. All of my videos are mainly about food nowadays I’ve realised. It got a bit messy with the chillies. Hans. Hans. Plus with delicious treats like the Kapsalon, yup, you can forget about your diet when you come to Rotterdam.However, your belly will be eternally grateful for the lifetime of memories you gave her.